Keypad problem on Nokia phones, include for the Nokia C5, usually caused by damaged the keypad driver. In the schematic diagram, the keypad driver for this phone symbolized as Z4404 and Z4405. 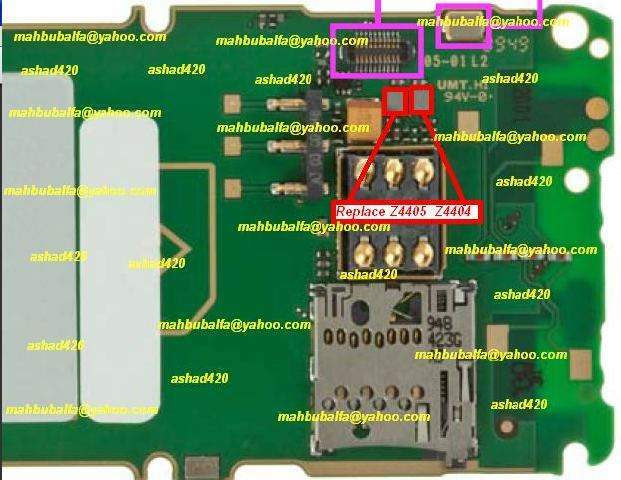 Here, mobile repair guide provide a picture that shown the location of the keypad driver, so you don't need to find it in the schematic diagram anymore. Just try to re-heat the parts, if unsuccessful, replace it with a good parts.